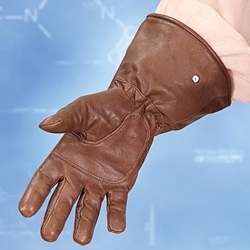 Our Ezio Gloave are a tan gloves from Assassin's Creed II and are made of soft leather with an extra layer stitched on the palm for a better grip. Excellent for many outfits. Sizes: S, M, L, or XL.